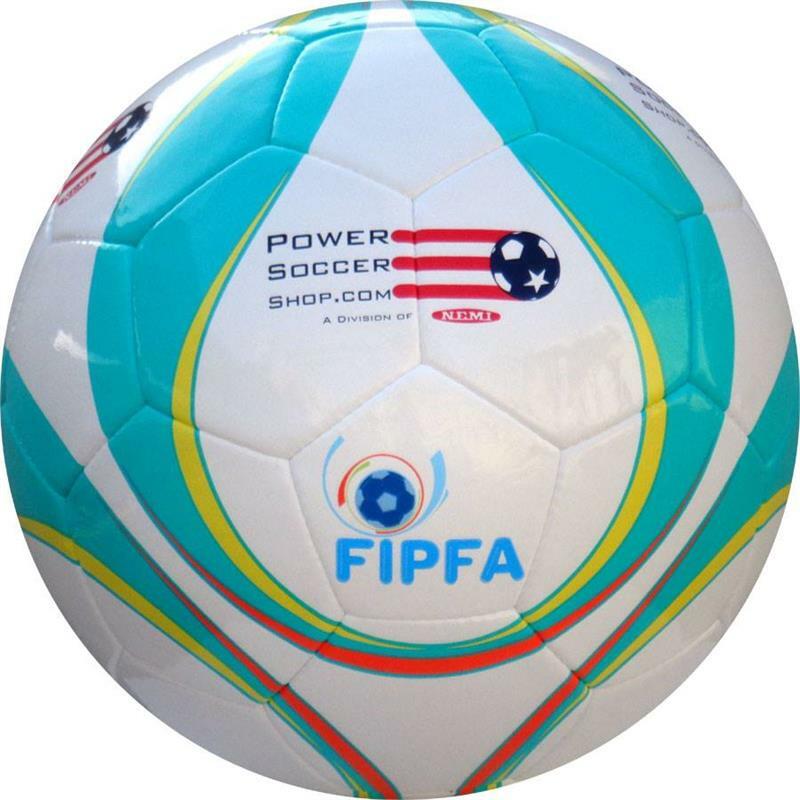 The ball is 13", and complies with current international standards - FIPFA approved. Heavy weight - low bounce balls. In addition, the ball is constructed for maximum durability that power soccer athletes demand for tournaments and other high-intensity competitions! Hand-sewn Tournament Match ball with High Glossy latex-free finish. Laminated with balanced multi-layer P.C., water-resistant. Fitted with a special heavy weight latex bladder with butyl valve for maximum air retention.